For many Americans, healthcare and employment go hand in hand. Through health insurance, employee wellness programs, and other benefits, the nation’s large employers have a big impact on how people get needed care. Many employers have realized that telemedicine represents an opportunity to reduce costs, keep employees healthier, and provide an attractive benefit. According to the Mercer National Survey of Employer-Sponsored Health Plans, almost 60% of the country’s large employers currently provide medical coverage for telemedicine, giving workers the option to conduct video consultations with providers using a smartphone, tablet or desktop computer. This represents a jump of almost 30% over last year. The survey included more than 2,500 companies with at least 10 employees each. In addition, a new report from the National Business Group on Health reveals that in states where it is legal, nine in 10 large employers will make telehealth services available to their employees in 2017. This study included 133 large employers, representing more than 15 million employees. It found that as employers evaluate benefit packages, telemedicine is making its way to the top of the priority list. NBG goes so far as to predict that by 2019, 97% of large employers will offer telehealth services, making them nearly universal. There are many reasons that telemedicine is beneficial for both employers and employees, but it is clear that cost is a driving factor. There has been a significant rise in overall healthcare costs for employers and many are looking for alternatives that bring costs down without sacrificing employee wellbeing. Of course, there are other benefits to telemedicine for employees and employers alike. 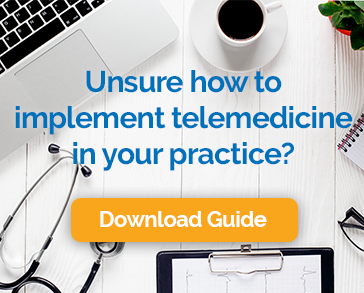 Because telehealth is so easy and convenient, employees may be more willing to schedule a consultation regarding a small problem before it grows into a major concern. They are also more likely to conduct a follow-up visit when suggested by a provider if it doesn’t involve time away from work and a trip to the office. In many cases, a video visit can be scheduled outside of work hours, reducing employee absenteeism. Finally, telehealth reduces the employee’s risk of exposure to others with illnesses that may spread. Healthy employees are productive employees and employers see telehealth as one way to maximize employee wellbeing. Certainly, telehealth isn’t a cure-all for rising healthcare costs, but it will be part of the solution. With this rate of adoption, it will soon be an expected part of any employee benefits package.